Welcome to Quality Films Ltd, the independent manufacturer of high performance industrial and consumer packaging films. 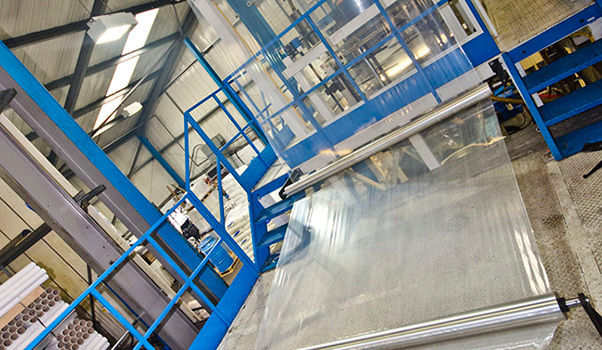 Quality Films supplies hand and machine stretch film for the in-transit protection of palletised goods. Our products include standard, high performance, and the innovative Q-Lite pre-stretched film, all available in a range of gauges and widths. In addition to manufacturing blown stretch film, Quality Films supplies cast stretch film, shrink wrap and other complementary packaging products. We work closely with our customers to meet their needs and strive to provide outstanding service at all times. Satisfied customers mean good business. We are committed to the continuing development of an environmentally friendly business.